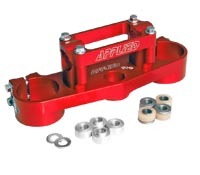 APPLIED RACING is the pioneer of the after-market triple clamp. Triple clamps are designed with performance, function, and style in mind. Made of billet aircraft aluminum, Applied clamps have superior strength and durability while often reducing weight. Reversible offset bar mounts with optional heights and further forward bar mount locations allow a custom fit for the rider. Offset changes on many models create a perfect balance between straight line stability and turning ability. We perform rigorous testing each year with top test riders such as Doug Dubach. Applied Clamps are not only precision machined but the fork holes are bored not milled for a perfect cylindrical shape from top to bottom reducing fork twist. Up to 35% more surface clamping area reducing fork flex. Lifetime warranty to original purchaser. No other company offers this! Our triple clamps are designed and machined in house and proudly made in the U.S.A. Accept no less than the original and still the BEST. The new R/S line is unlike any on the market today. The Rubb er / Solid design is the best of both worlds. Proprietary urethane elastomer bushings provide excellent vibration damping characteristics. This strong and abrasion resistant formula withstands over 2200 PSI. These elastomer bushings are contained in machined pockets on the top clamp. Then, precision machined Stainless steel collars are inserted into the elastomer bushings providing a mechanical restraint while still isolating the bar mounts from vibration. The bar mount is then secured with a strong grade 10.9 bolt. The proper torque secures the bar mount and pre-loads the elastomer bushings. 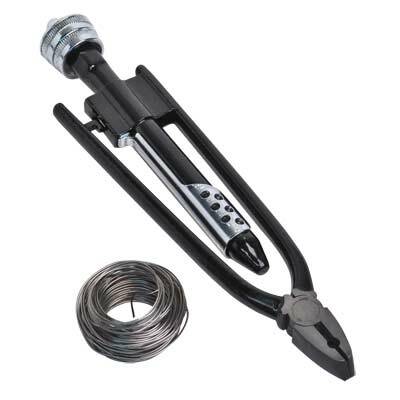 Pre-load ensures the bushings completely fill the pockets and isolate the bar mounts. This is a much better system than the previous conical shaped bushings. Also included in the kit is a set of 6061 aluminum bushings. These precision machined solid bushings fit into the pockets in place of the elastomer bushings and create a solid mount system. You decide which mount system you want depending on the type of riding you are doing. Then add your choice of bar mount. 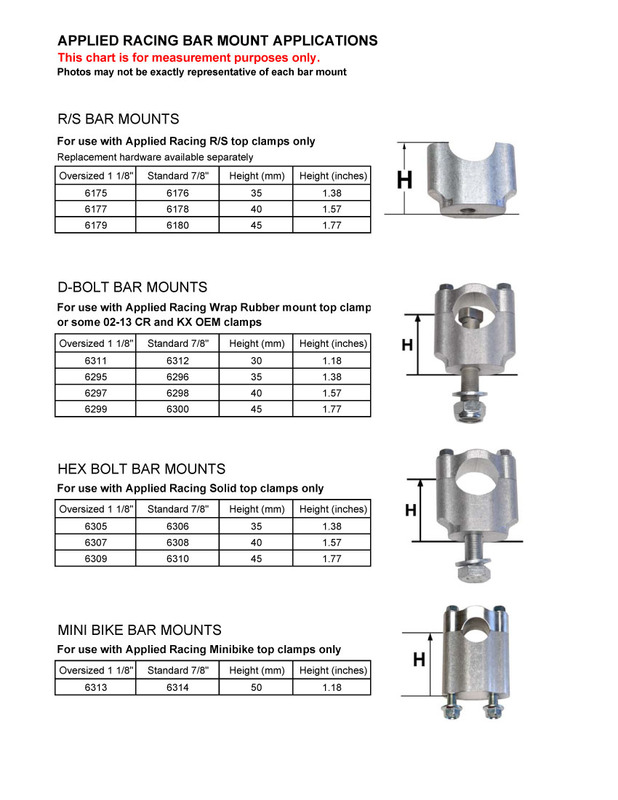 Bar mounts are available for standard or oversized bars and three height options in most cases. All feature offset mounting holes for adjusting handlebar location. Top it off with the included one piece bar clamp to tie both mounts together and you have a twist-free Rubber or Solid system. R/S Top Clamp Kit (includes R/S Top Triple Clamp, elastomer and solid bushings, bar mounts, one piece bar clamp, and hardware). MSRP: $189.95 Also available in sets (top and bottom) and for Kit forks. APPLIED RACING has a full line of tools for the weekend wrencher. We have a variety of high quality tools at a great price. Compare for yourself. Why pay more? Check out our Safety Wire Plier kit. Whether it is securing your grips, or securing important fasteners, Applied's six inch professional Saftey Wire Plier kitis the way to go. This kit comes complete with a 25 foot spool of .032 gauge stainless wire. This is an important and handy tool to have in every tool box. Only $29.95. Factory Triple Clamp Set only $395.95. Add a stem and bearing for only $89.90 and we will press it for you at no charge.